Harsh weather conditions, a break -in attempt, accidental damage, regular wear and tear, constant use, etc. are some of the things that your garage door is exposed to. While you can’t guard against unlawful forceful entry but you can take the help of an expert for other things. Choosing custom garage doors, specialty garage doors and guarding against climate changes by installing weather stripping for garage doors are some of the solutions that we provide to safeguard against possible threats. When you choose Metro Garage Door Service you can be sure that you will only get the top brands, best quality and professional services. With Metro Garage Door Service you will have the option to choose from a variety of doors that are sourced from top national and international brands. These doors are of the highest quality as we hand pick and suggest only the best options available in the market. Along with that, you will always have our professionals to provide you the best services every time. With more than 100 years of combined professional experience amongst our professionals, we can guarantee that you won’t find a better and more experienced team in the Joliet, IL area. Despite having such an experienced team, we still make sure their skills are always up to date by providing them with workshops and regular training. Along with that we also invest in the latest equipment and gadgets, so that you will always get the best solutions from our experts from the comfort of your home and office. 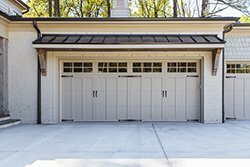 Residents and business owners of the Joliet, IL area have been using our services for installation, repair, and maintenance of their garage doors for years now. You can also seek the assistance of one of our experts, simply call us on 815-566-4992.